Tumble Blast machines are designed to suit a broad range of requirements and operating conditions and each system utilizes a loader to match the performance of the machine. Blast Cleaning Technologies offers manual, mechanical or fully automatic loading and unloading options to meet production requirements. Automatic Loading and unloading allows for integrating the tumble blast machine into a fully automatic production line. 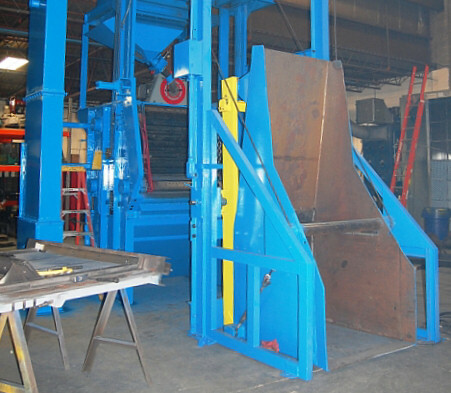 Loaders can be adapted for each machine or set up for a line of machines. Call us today to get a quote on modifying and upgrading your loader, using your existing frame.